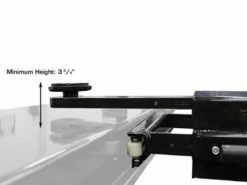 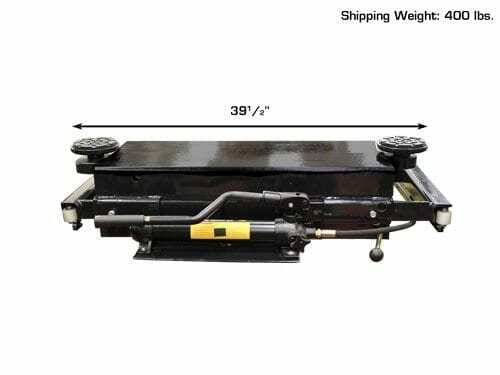 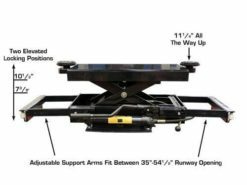 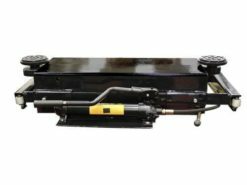 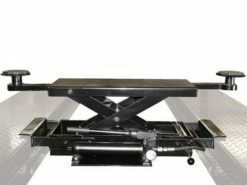 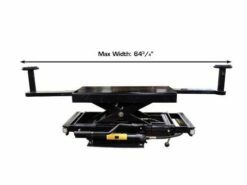 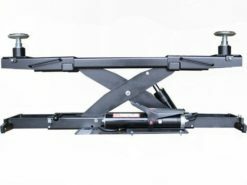 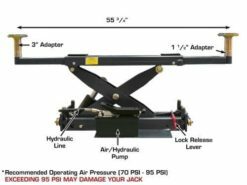 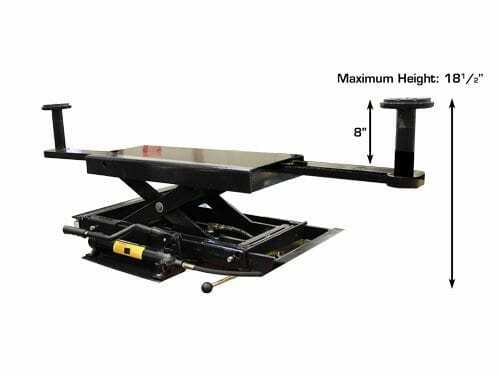 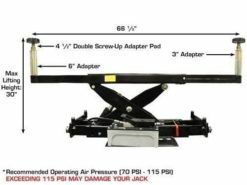 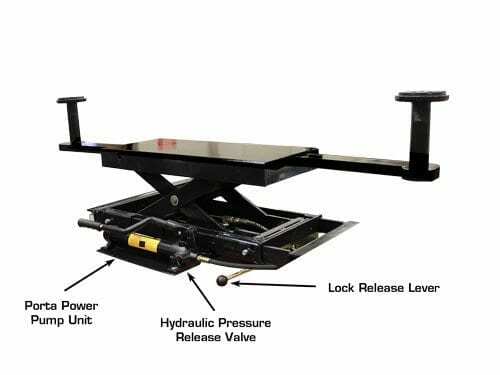 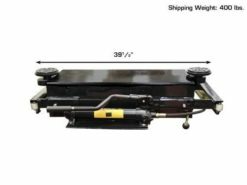 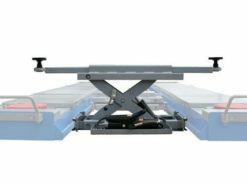 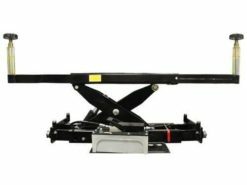 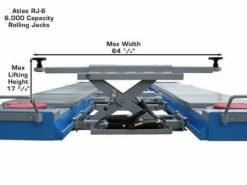 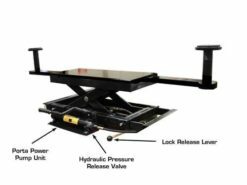 The Atlas® RJ-45 Rolling Jack is an economical rolling hydraulic jack designed to raise the front or rear portion of a vehicle allowing the operator of a four post above ground lift to perform wheel and brake service. Designed for hobbyist or light commercial use. 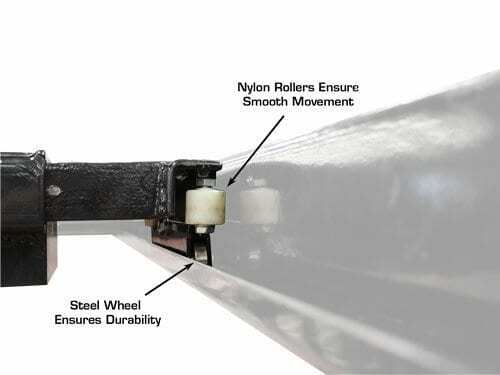 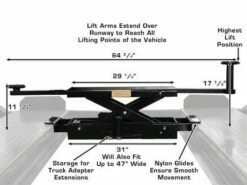 Rollers glide on welded slide rails on inside of runways. 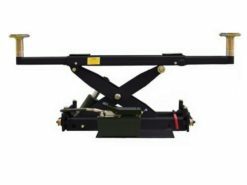 Available with manual or air / hydraulic pump. 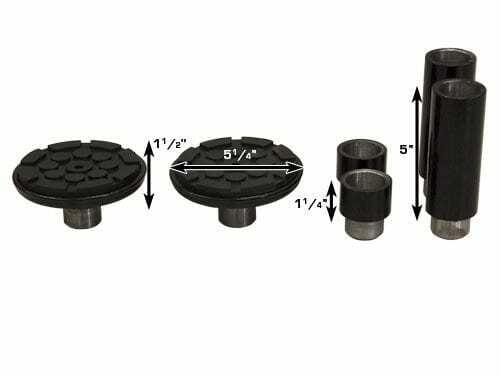 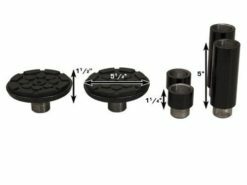 Minimum Height with Lift Pad 3 3/4"